More Than 50 Years of Caring . . . Founded in 1969 by John M. Wilson, M.D., Oakhaven is one of South Carolina’s most established and respected nursing centers. 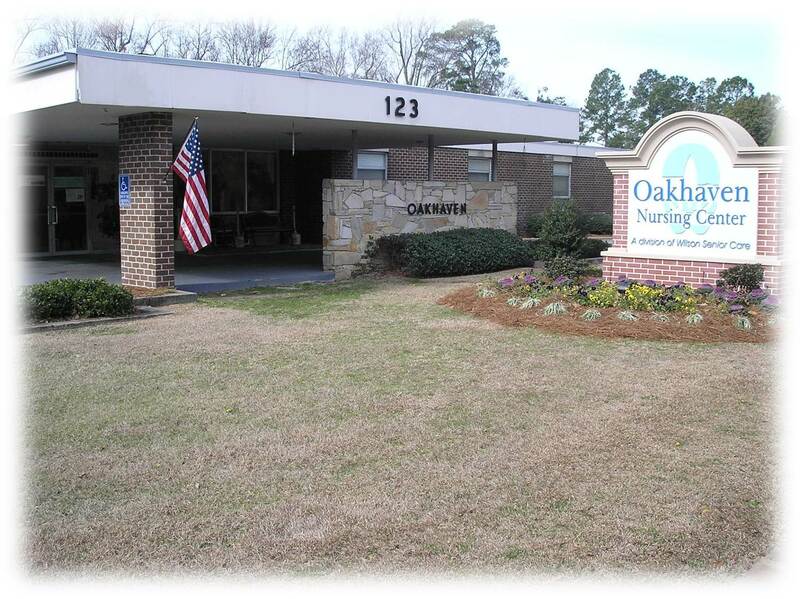 During its many years of excellent service to the Pee Dee region, Oakhaven’s staff has never rested on its laurels. Our dedicated professionals go the extra mile to make sure Oakhaven feels just like home. Operated under the auspices of Wilson Senior Care, Oakhaven is an 88-bed skilled nursing facility offering 24-hour care for short- and long-term visits. Oakhaven’s reputation for cleanliness, superior nursing and attention to the special needs and preferences of its residents are among the reasons why we have an excellent reputation in the community. At Oakhaven, we like to say, “Welcome Home.” And it’s more than just a slogan. We believe it’s what makes our center so unique. In fact, the residents at each of Wilson Senior Care’s three nursing centers are just like family, sharing friendships with each other, our staff and our medical professionals. When you visit Oakhaven, you will see why our residents consider the center their home. Our staff is warm and caring, and our residents have formed bonds to last a lifetime. This camaraderie is what life is all about – living each day to the fullest with dear friends. We think you will appreciate life at Oakhaven. Our staff is committed to meeting the special needs of our elders and disabled residents. Our proximity in Darlington allows immediate access to physicians and other healthcare providers at McLeod Darlington, McLeod Regional Medical Center and Carolina Pines Regional Medical Center, as well as Carolina’s Hospital System. In addition, our on-staff attending physicians visit residents on-site frequently during the month. Oakhaven is conveniently located in a quiet residential section of Darlington graced with towering oaks and historical homes. And Darlington’s shopping areas are within walking distance only a few blocks away. We have taken steps to assure that Oakhaven is clean, comfortable and home-like. And to add a personal touch, we encourage our residents to decorate their accommodations with their own familiar furniture and décor.